All our beef is hung for 28 days and is dry aged The ribs, loins and rumps are aged on the bone in a specially controlled atmosphere for four to six weeks. The humidity and temperature is controlled and there is a Himalayan Rock Salt wall that allows the meat to slowly dry developing a wonderful depth of flavour and becoming increasingly more and more tender. 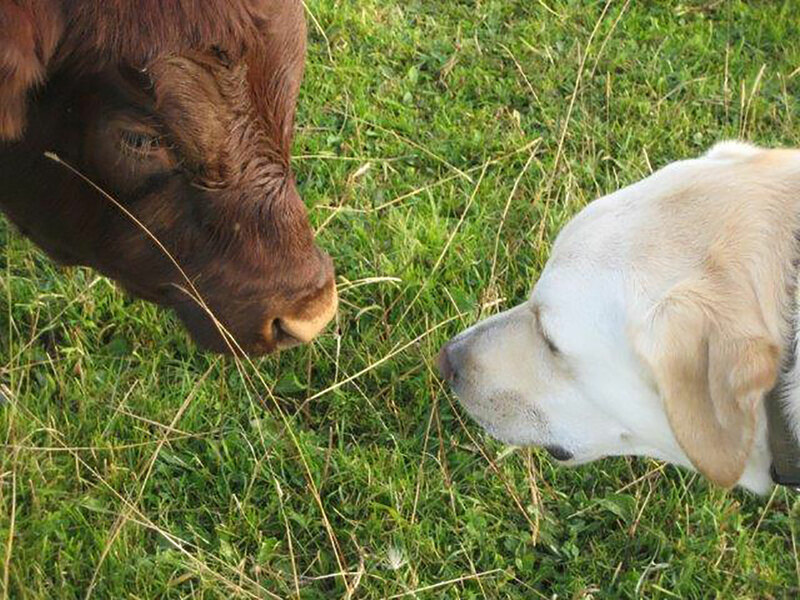 The process produces a rich, full flavour meat from these grass fed cattle. Typically the meat has higher levels of polyunsaturated, omega-3 fats than the more intensively reared, grain fed continental breeds. 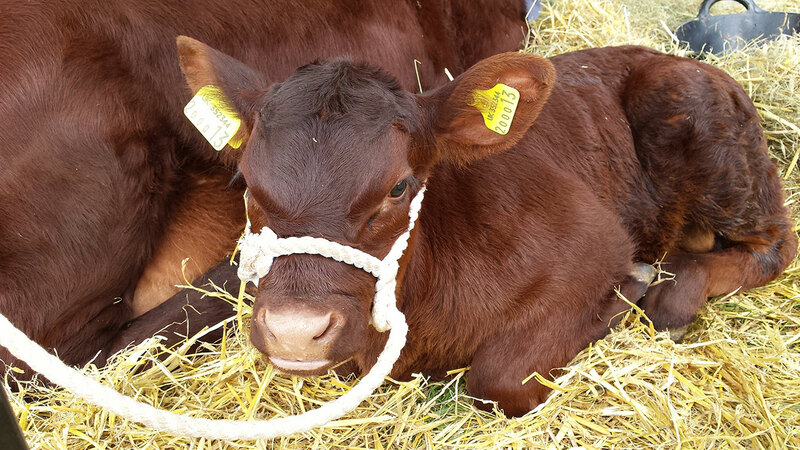 The Red Poll Cow is a traditional native, rare breed, British dual purpose breed (beef & milk). 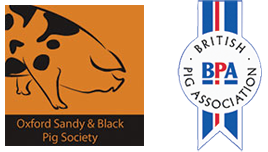 Red Poll cattle are protected and promoted by the Rare Breeds Survival Trust. Eating rare breed beef helps to ensure the survival of the breed. This may seem a contradiction but providing a market for the beef also provides the farmer with the incentive to breed more cattle. 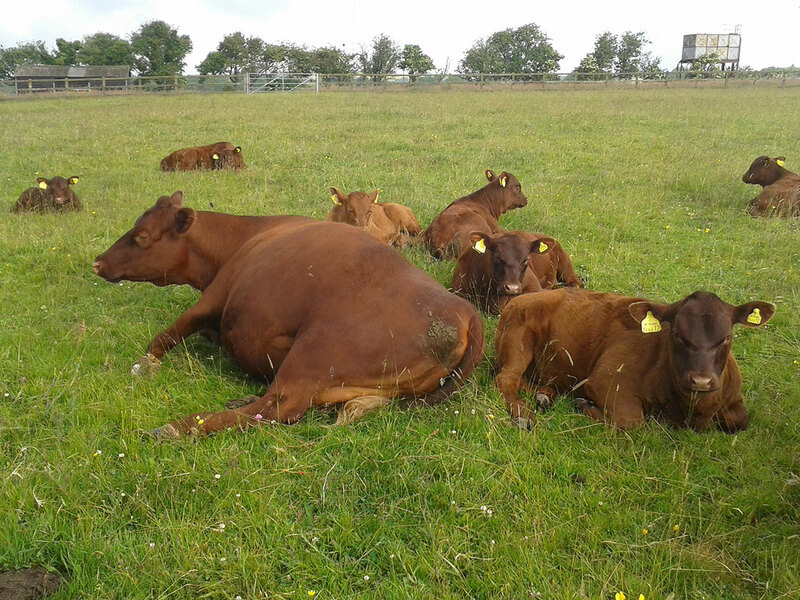 Call us on 07770 754 633 if you’d like to find out more about our Red Poll cows.